In 2017 the FCC held a spectrum auction consisting solely of 600 MHz wavelength. Many companies participated in this auction. The biggest winner was T-Mobile, taking more spectrum than all other participants in the auction. Originally Verizon and AT&T showed interest in the auction but ultimately did not bid for the spectrum. 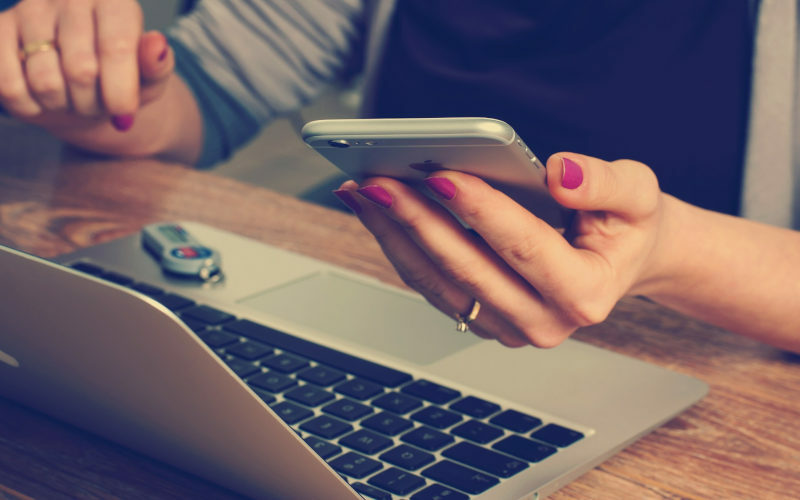 With this new spectrum, T-Mobile now has sufficient low-band licenses to broadcast across the entire US and provide sufficient data speeds due to the high bandwidth allocated. Prior to this, T-Mobile had low-band spectrum in the 700 MHz wavelength, broadcast as band 12, but it did not have enough bandwidth to maintain sufficient data speeds. With the newly acquired 600 MHz spectrum, which will broadcast as band 71, T-Mobile will be able to deploy far-reaching signals with greater bandwidth across the entire US. But what does this mean for its customers? The lower the frequency of a radio wave, the farther it can travel and the better it can pierce objects, especially concrete walls. T-Mobile has a reputation for not working well in buildings. This is because the majority of the spectrum they held licenses for was all mid-band that delivered fast data speeds but did not propagate well through thick walls or long distances. Until the last five years, T-Mobile possessed zero low-band spectrum until they started acquiring spectrum in the 700 MHz range. But there are drawbacks to their 700 MHz spectrum band 12. The first drawback is that they do not have 700 MHz spectrum licenses to broadcast band 12 across the entire US. In some states, T-Mobile does not have any 700 MHz spectrum, like Iowa, and many other states aren’t much better off. The second drawback to T-Mobile’s band 12 coverage is lack of bandwidth, with a mere 6 MHz in the majority of their coverage. This low bandwidth allows very slow LTE speeds where 5 Mbps would be considered fast. 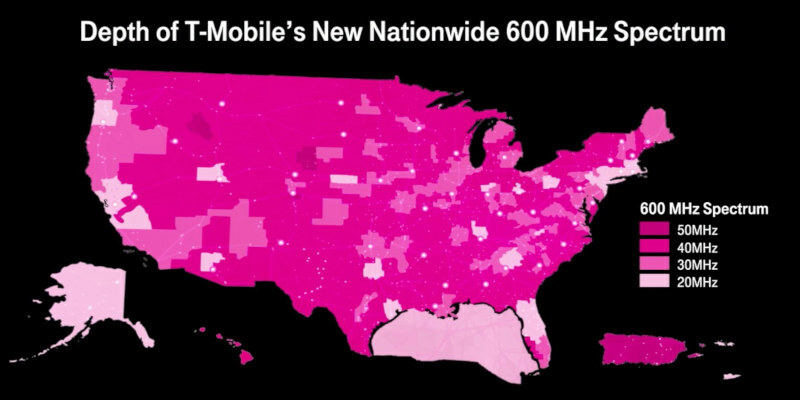 Now that T-Mobile has nationwide spectrum in the 600 MHz range to broadcast as band 71, they will be able to broadcast signals that travel farther, work far better in buildings, and maintain data speeds that are up to par with its competitors. In order to use band 71, the user will need a device that can access this brand new frequency. Most devices on T-Mobile’s network are still not compatible with band 71, though nearly all new devices being sold by T-mobile are capable of using band 71. Apple is late to the game, as usual, so beware that the only iPhone models capable of using band 71 are the iPhone XS, XS Max, and XR. If you are a T-Mobile customer, when choosing your next phone we strongly recommend purchasing a phone that is capable of using band 71 to maximize coverage and data speeds. The other catch to band 71 is that it will take years to deploy across the entire US because it was formerly used by TV stations to broadcast their signal. The FCC has ordered all TV stations to leave the 600 MHz frequencies, but this will take some time depending on the region. 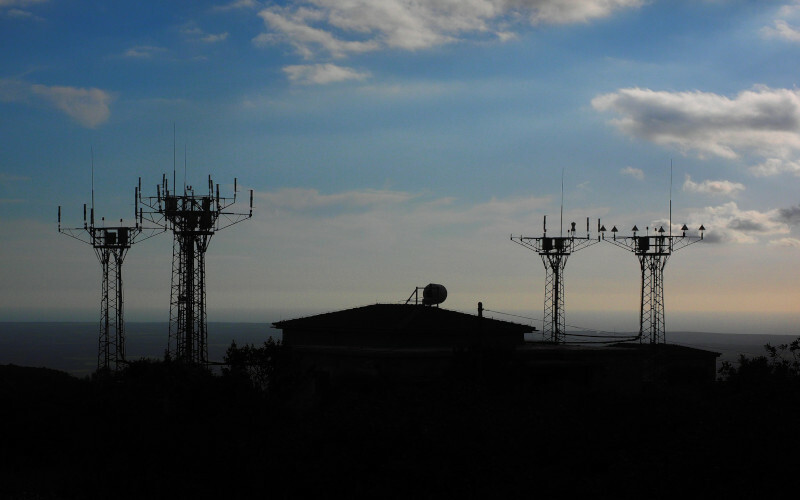 T-Mobile has allocated funds to help these TV stations leave the 600 MHz frequencies sooner, especially in areas that T-Mobile has no native coverage. For most customers, they will not see a noticeable difference right away, and if they do not have a phone that is capable of unitizing band 71, then they will not see a difference. However, for those that have a phone capable of using band 71, they may notice increased coverage and speeds in areas that were previously spotty. Currently, T-Mobile’s band 71 covers a total of 2,700 cities in 43 states and Puerto Rico. In a matter of four years, band 71 deployment will be finished, and an overwhelming majority of T-Mobile customers will have a phone that utilizes it. Four years may seem like a long time now, but T-Mobile is in it for the long haul.